Amboise Chargé, Saint-Règle airfield was an airfield 185 kilometers southwest of Paris. The airfield was officially built in 1939, but its aviation activity began long before, as the large flat area was very attractive to aircraft. 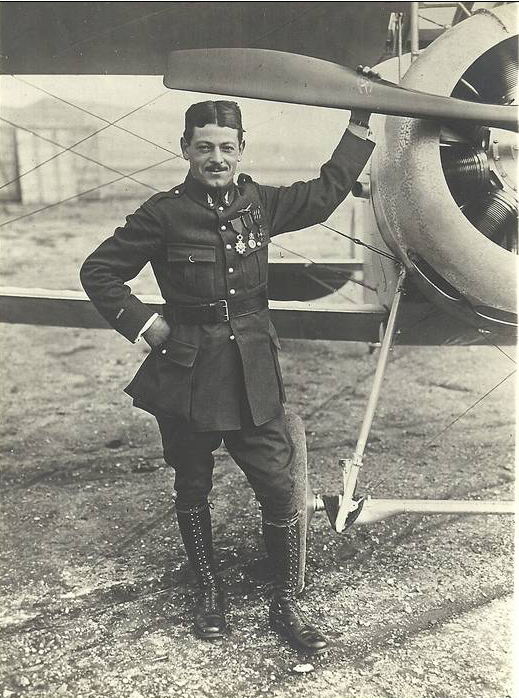 The great World War I fighter ace Maxime Lenoir frequently came to this field before his death in 1916. Being native to Chargé, Maxime came to see his friends and family with his Nieuport 17 plane. Whenever he flew to Amboise, many people would come to see his flight demonstration. One week in particular, 8000 persons came from nearby villages only to see Maxime Lenoir fly. At the end of August 1939, the Air Ministry ordered the general commanding the 3rd Air Region to urgently develop a landing site at Amboise "because of the political tensions". The general was also instructed to give the airfield good ground connections. The Air Ministry, in mid-November of the same year, approved a plan to acquire a 61 hectares parcel of land and the proposals that had been made for their management. The cutting of more than three hundred trees and shrubs, which presented a hazard to air navigation south of the proposed airfield was immediately initiated. Using decrees of 30 October 1935, the Air Ministry entrusted the acquisition to service engineering. Expropriation orders were made by the presiding civil judge of Tours at the end of April 1940. 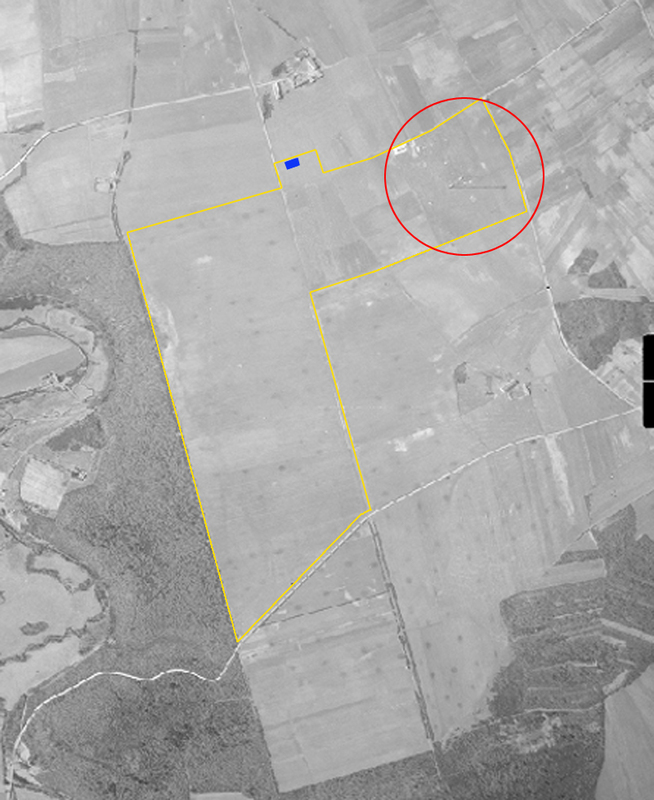 The German invasion interrupted the French plans with the airfield, but that did not mean an airfield was never built. The Germans continued the construction and flew aircraft from the airfield. While the Germans initially settled on the landing ground, they gave order to the former owners in 1944 to resume their agricultural activities, in an effort to make any unwanted landings impossible. After the liberation, the farmers remained where they were, until an administrative law was passed in November 1945 to regularize their situation. 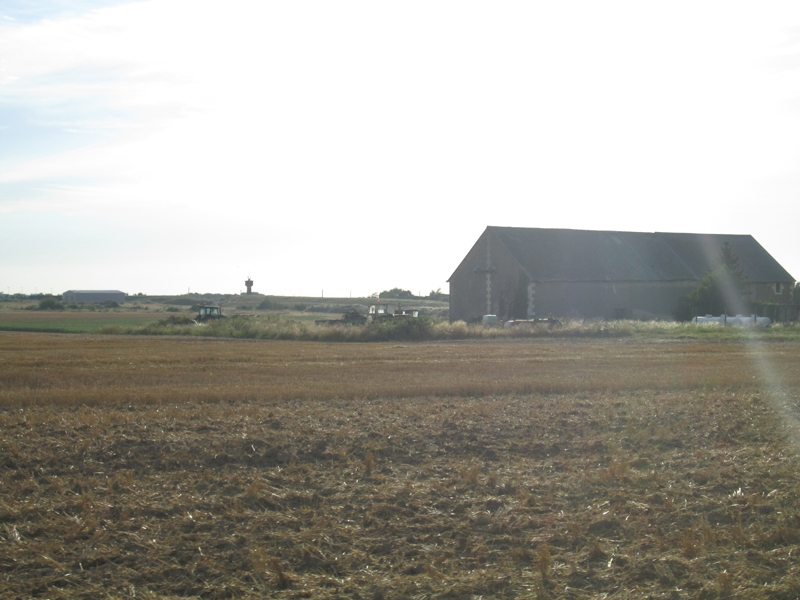 In July 1946, the Air Ministry announced that the Chargé-Saint-Règle airfield no longer of any interest to either the Air Force or to Civil Aviation. The Air Ministry found it necessary, however, that in order to save the infrastructure, to keep the field in its posession whilst allowing its cultivation through leases. 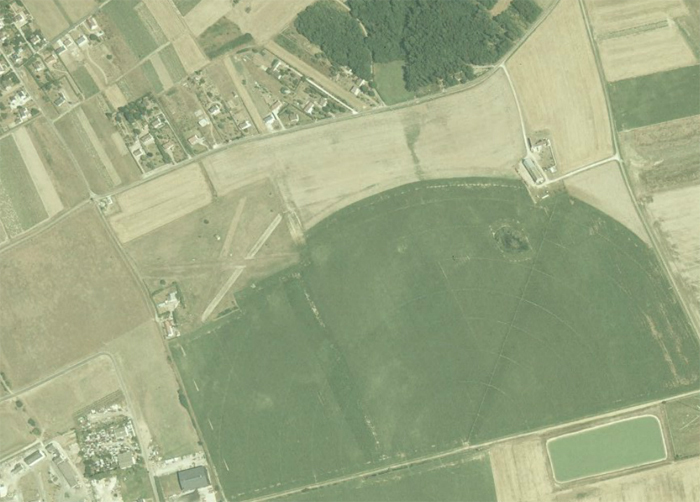 A few months later, the Air Ministry informed the Minister of Public Works and Transport that it would be up to the Flight School at Tours-Saint-Symphorien whether the parcel of land was needed for use by the school for the instruction of emergency landings in grassed fields. Should it become available, the lands were to be re-cultivated in 1951. In February 1952 , the airport was chosen as a site to implement a DECCA chain station on the north side of the field. 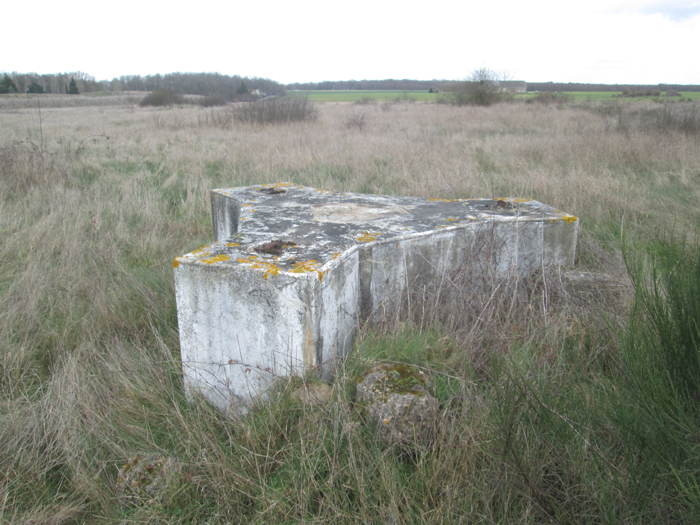 A beacon was subsequently installed on the southeast corner of the airfield, and the remaining unoccupied part of it would finally given up for disposal in June 1962. 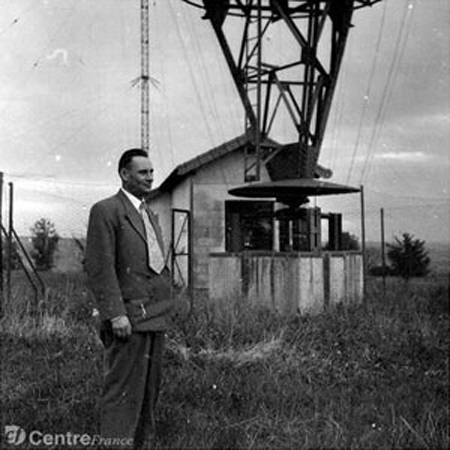 An operator at the Crandelles DECCA radio station, which was similar to the one at Amboise (source mairie de Crandelles). 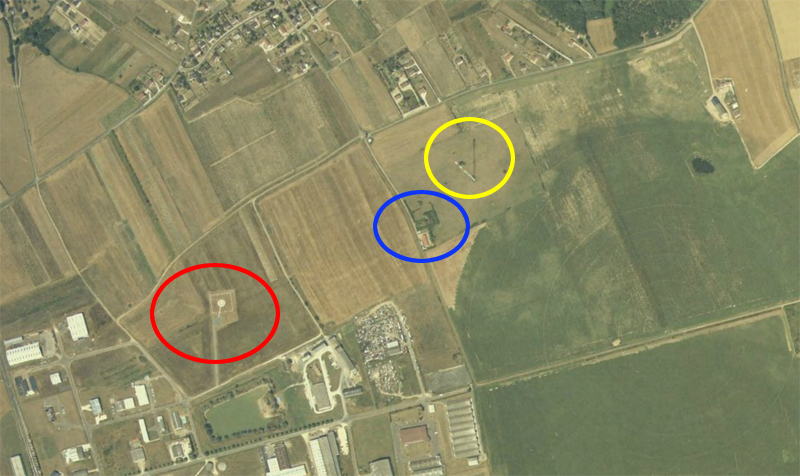 The yellow lines are the limits of the former airfield. You can see the antenna and is shadow in the middle of the red circle. 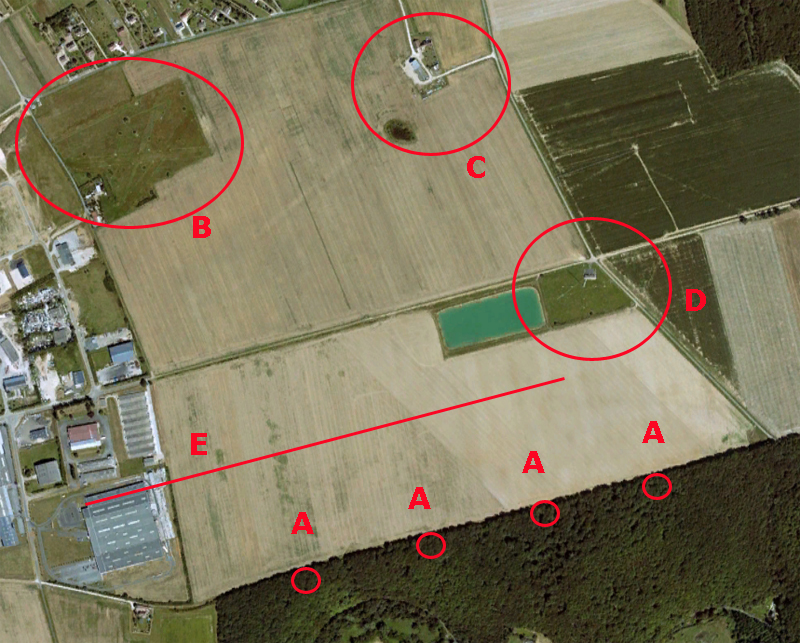 The blue rectangle shows the position of the former German hangar used for timely repairs. 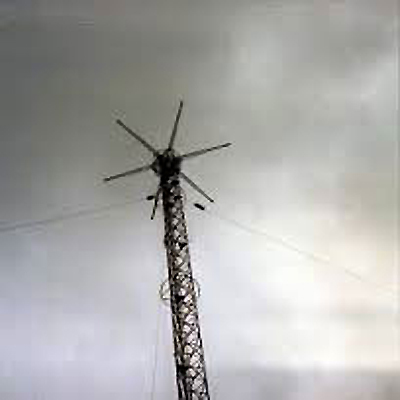 In the late 90s, a gentleman named Blanchard purchased the former premises of the Decca antenna and the ground where the antenna was located. Quickly, a good friendship was born between Mr. Blanchard and Mr. Girard, who farmed at La Girardière. Mr. Blanchard was an aviation enthusiast and owned a small light airplane called "Chéreau". In exchange for a good bottle of wine, Mr. Girard agreed to build three runways on the field of Mr. Blanchard. These runways were used until 2007. 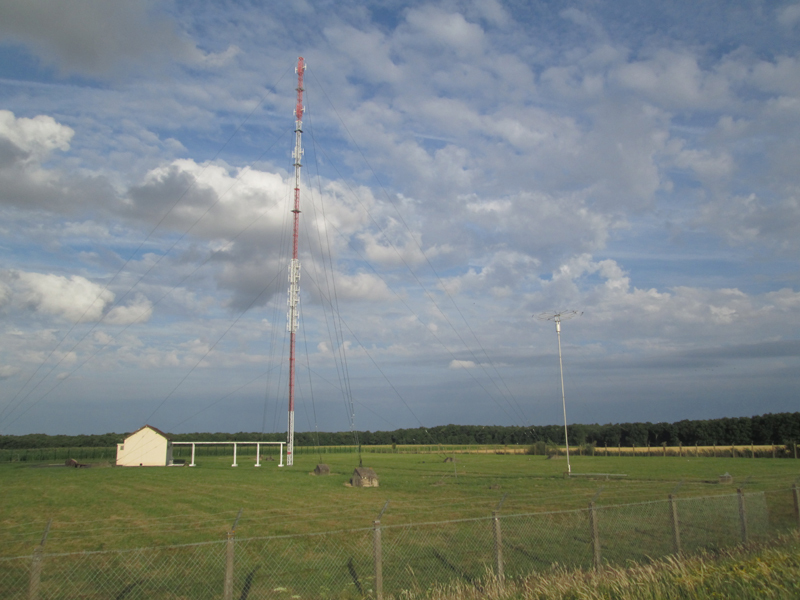 The present day military location contains two antennas. The largest is being used for high level traffic control, while the small one is a locator antenna called AMB (photo by Olivier, Febuary 2014). - Thank you very much to Mr. Jean Louis Vidal, mayor of the municipality of Crandelles for allowing the use of the pictures of the DECCA station. - Thank you very much to Mr. Abel Anjorand for providing the history and information. All stories provided to this site were from Abels memory of when he was young. In 2014, Abel was 82 years old. Thank you very much! - Thank you very much to Philippe Girard for the correction of certain historical points. - Merci beaucoup à M. Abel Anjorand pour son aide précieuse et pour les informations historiques fournies. Toutes les informations données sont issues de la mémoire de jeunesse de Abel. En 2014, Abel a 82 ans. - Merci beaucoup à Philippe Girard pour la correction de certains points historiques.